Citrine and Clear Quartz Crystal Necklace 18″. This is a 1 off piece which is an original design by my supplier so uniqueness is guaranteed. The lady who specialised in the making of these necklaces retired and this is the last one in the range. 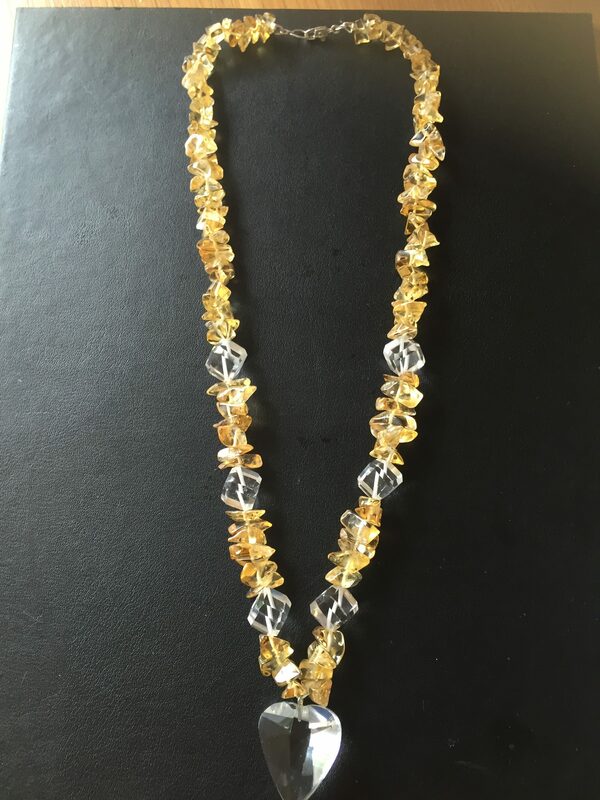 Citrine and Clear Quartz cubes with a heart shaped Clear Quartz Pendent at the bottom whilst the top is laced with Citrine Chip. All stones are beautifully cut and polished and there is a silver clasp to secure it. Only the highest grade of crystals were used in the making of this piece.